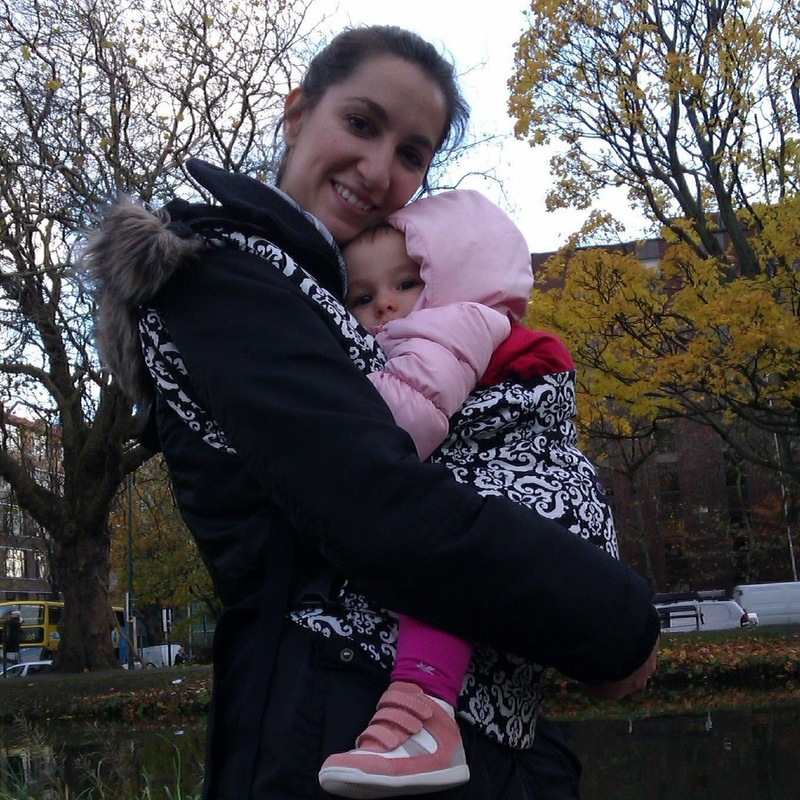 This is my 28th installment of Babywearing Stories 365. Each installment features a babywearer in 1 photograph and their answers to 5 questions. My goal is to normalize, promote and celebrate daily Babywearing, moving beyond *what* we use to carry our babies and shifting focus back on *why* and *where* we carry. I hope to share the stories of moms, dads, and babywearing caregivers all over the world. Enjoy! Hi! My name is Candela Exposito, I’m originally from Madrid, Spain but living in Dublin for almost 6 years now. In this picture, I’m wearing my daughter Chloe. She should be around 10 months old there. At that time I was living in Rathmines and I went for a walk along the canal with my uncle, who was in Dublin for a couple of days. I’m wearing an Ergo Petunia Pickle Bottom, that I bought in San Francisco during our holidays. Not sure about the exact day of the picture but it was for sure November 2012.